A band of Mustangs chasing a herd of Pronghorn Antelope. 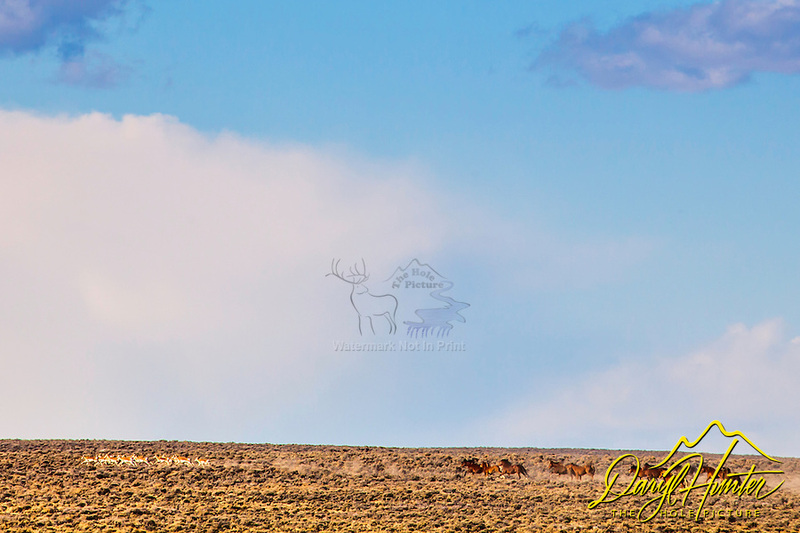 Of course the chase didn't last long as the pronghorn are the fastest animal in North America. It sure was a fun surpass to watch and document.